Here are some tips to help you find the gems and unlock your company’s data potential, elevating your status to Super Analyst. Data is a strategic asset that can provide a significant advantage in the market when mined, analysed and used intelligently. However, a 2016 Capgemini survey found the majority (65 per cent) of business executives feel their company is at risk of becoming uncompetitive due to the highly complex data landscape. If the data can provide a competitive advantage and executives view it as strategic, why then are these same executives fearful data could be an opportunity missed for their organisations? Usually, it is because the data and derived competitive insights are locked in a host of disparate systems across the business, offering limited access to those who need it. Salesforce, the undisputed leader in CRM, has emerged as a core data holder in many organisations, yet the full power of the platform is still rarely seen as users struggle to access, correlate and disseminate data within their organisations. According to a recent bluewolf survey, 77 per cent of companies believe they could be doing more with their Salesforce investments. This represents a number of opportunities missed. So, it falls to the Salesforce administrators and analysts, on the front lines of the battle for competitive insights, to be the agents of change and to determine how best to mine, analyse and disseminate the hidden opportunities within their company’s Salesforce infrastructure. Your change in status starts with using a powerful integration solution, such as a cloud-based integration platform as a service (iPaaS). Salesforce is a mature product that provides a number of integration options, but analysts often run into situations where they want more control over the data or require the integration of additional data sources and applications. While Salesforce provides some opportunities for analysts to build it themselves, not everyone has the time or experience to create APEX code or write lightning components. Yet, without this additional integration, access to insights is limited. A third-party iPaaS come out of the box with tools and connectors that are pre-made for Salesforce integration and can scale to suit the integration needs of large enterprises. Plus, they can often be used by administrators and analysts who aren’t code writers, allowing analysts to integrate applications within and across the organisation with Salesforce without anyone having to write a single line of code. Once you have an iPaaS solution in place you can address one of the most common challenges analysts face with Salesforce – data in distinct objects aren’t easily compatible. This situation results in a limited view of the relationships between objects, or requires analysts to find a SQL-savvy resource that can do bunch of manipulation of the data outside of Salesforce. An iPaaS solution, on the other hand, will automate the extraction, manipulation and load of the Salesforce objects without any manual intervention. Once the objects are integrated, the Salesforce analyst can bring the data together with automated extractions, aggregations and put-backs, which will be a boost to analysis and reporting across the company. iPaaS also facilitates business workflows making customer interactions more efficient and effective. The iPaaS not only passes data in real-time from one application to another, but also orchestrates or synchronises the actions of various applications, which reduces costs, eliminates time-wasting steps, and provides customers and employees with instant access to information and services. Jumping to real life, let’s say a customer calls a contact centre and is disconnected. 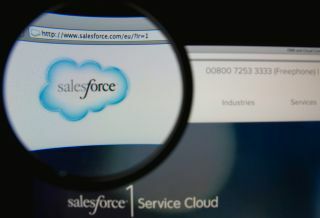 iPaaS working with Salesforce could detect that the status had changed to “disconnected” and trigger an email to go out from a third-party platform, explaining how the customer could get back in touch with the specific agent handling their case. As an analyst, you could create process flows like this that can be easily monitored, adjusted, and analysed, providing critical insights back to the business. This would be accomplished by using status indicators in Salesforce Marketing Cloud (SFMC), outbound messages to the iPaaS REST endpoint and workflows, which add records to the DATA EXTENSION in SFMC and send emails based on those EXTENSIONS. Great insights come from combining data from disconnected sources. For reports and analyses to be meaningful they require a complete view of the data across sources both inside and outside of Salesforce. Unfortunately, as most analysts know, Salesforce doesn’t always natively cooperate with other vendor applications or third-party analytics and reporting tools. However, there is a solution. Most iPaaS solutions as well as some specialty integration solutions offer pre-built “connectors,” which allow users to easily link Salesforce to data warehouses, databases and other applications blending the data from all of these sources to create more meaningful and robust reports and analyses. This approach also allows analysts to keep the data fresh and insightful. To truly get the most out of the data, analyses and insights available, analysts need to provide access to them in a host of places through a myriad of devices. A business’s top analysts find ways to push Salesforce data to users as they become increasingly mobile and seek to leverage new devices such as the Amazon Echo or Google Home. These types of technologies are emerging as key vehicles for data consumption and analysts will need solutions that will allow them to push and pull data from those types of devices. Integration solutions such as iPaaS can extend into these areas, providing a code-free way to connect and access the data available in Salesforce and other systems. Each of these tips builds on an iPaaS foundation. These capabilities are essential to maximising the potential of any Salesforce deployment and positioning a company to realise a competitive advantage from its data. Super analysts need the ability to easily manipulate the data in Salesforce, blend it with other systems, and distribute it to people through new access points, to elevate themselves to a position that adds significant insight and value to their organisation.